Ladies and Gents, we present to you, Tequila Battered Onion Rings. Jessie was celebrating Tequila Week earlier this month. She shares her recipe on Day 1 of her Tequila Week. Find the recipe here: Tequila Battered Onion Rings with Honey Lime Yogurt Sauce. One of our favourite Tequila brand is Sauza Tequila by Beam. The spirit itself is so delicious that all you would need to do is add lime juice (shake it!) and simple syrup sprinkled over mint leaves. If you are in the mood to put in a ‘lil effort in to your drink then add lime juice/ lemonade with black grapes to indulge 😉 and stir for the kick… hick! Once you are sipping on these cocktails with friends or just by yourself at the patio or the window, to add a dash of fun, do try some Watermelon Tequila Wedges 🙂 sounds yum right? You are already wondering… we know 😉 (hick!) 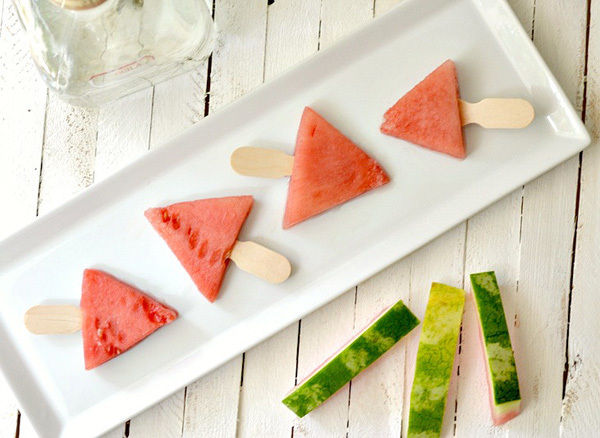 SheKnows has 3 Boozy Popsicle recipes by Claire Gallam. We think these wedges will be an awesome afternoon fix! How can we miss a dessert option for you to complete your Tequila Day celebrations? fabFood shares Light Tequila Dessert Recipes. 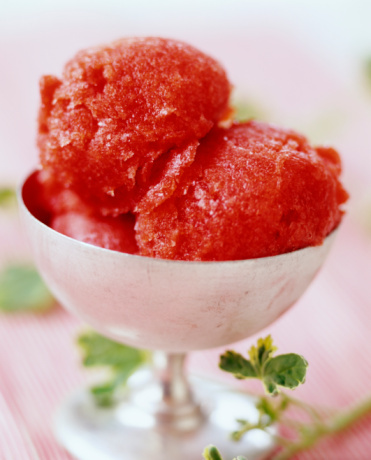 The Strawberry-Lime Tequila Sorbet is ultimately mouth pampering! (hick!) The best part about these recipes is that they are healthy and will help you keep your weight in check. Now isn’t that almost like an invitation? We are more than eager to pop another tequila 😛 You must’ve figured by now that we used up a whole bottle already… we have so many friends, you know… hick! hick!! Ok, fine we admit its just too tempting 🙂 and yea we haven’t finished a bottle yet. We are off to pamper our friends for the day… it all begins with Tequila Battered Onion Rings with Tequila Cocktails and Tequila Popsicle. We do have a yummy main course of chicken and classic Indian curry. The day will culminate with Tequila sorbet… slurp! slurp! !